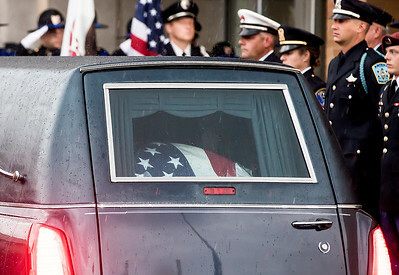 Sarah Nader- snader@shawmedia.com The casket of Fox Lake police Lt. Charles Joseph Gliniewicz arrives at Antioch High School on Monday, September 7, 2015. 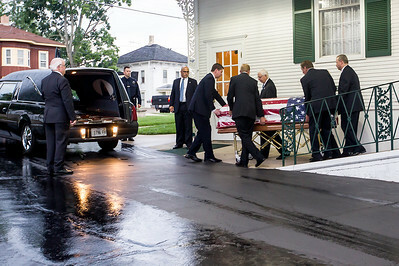 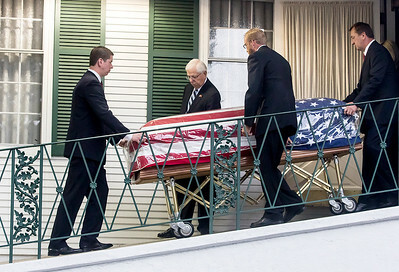 Sarah Nader- snader@shawmedia.com The casket of Fox Lake police Lt. Charles Joseph Gliniewicz leaves the Strang Funeral Home in Antioch Monday, September 7, 2015 before making its way to Antioch High School where Gliniewicz's funeral will be held. 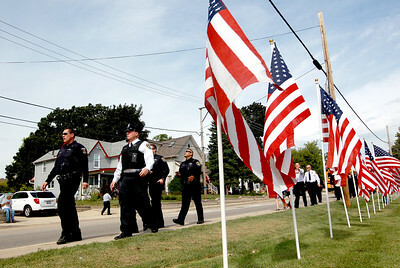 Sarah Nader- snader@shawmedia.com Law enforcement arrive at Antioch High School for the funeral of Fox Lake police Lt. Charles Joseph Gliniewicz Monday, September 7, 2015. 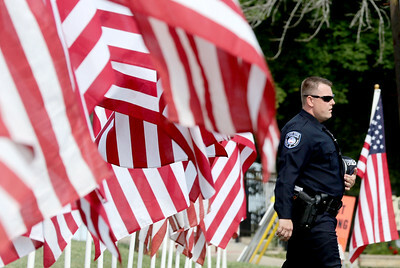 Sarah Nader- snader@shawmedia.com Law enforcement wait outside of Antioch High School for the casket of Fox Lake police Lt. Charles Joseph Gliniewicz Monday, September 7, 2015. 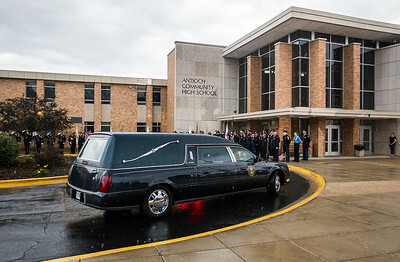 Sarah Nader- snader@shawmedia.com The casket of Fox Lake police Lt. Charles Joseph Gliniewicz arrives at Antioch High School where Gliniewicz's funeral will be held Monday, September 7, 2015. 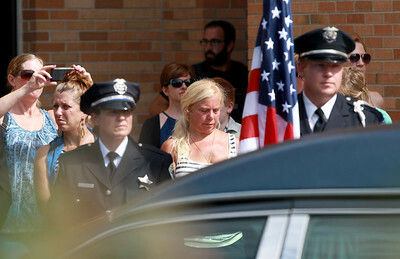 Sarah Nader- snader@shawmedia.com People watch as the casket of Fox Lake police Lt. Charles Joseph Gliniewicz is wheeled into Antioch High School before Gliniewicz's funeral Monday, September 7, 2015. 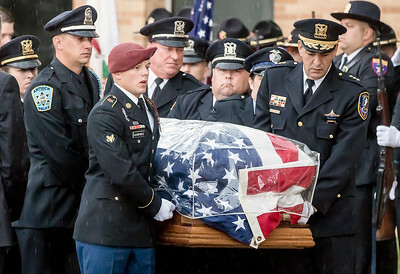 Sarah Nader- snader@shawmedia.com The casket of Fox Lake police Lt. Charles Joseph Gliniewicz heads to Antioch High School where Gliniewicz's funeral will be held Monday, September 7, 2015. 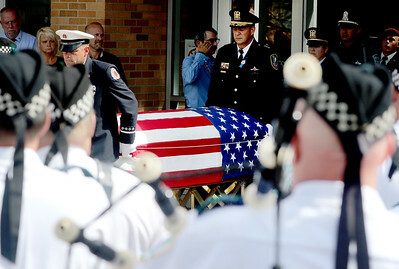 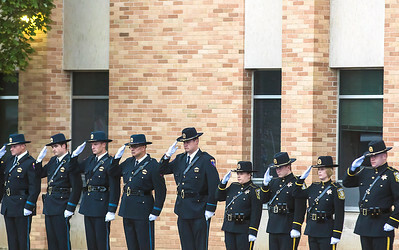 Sarah Nader- snader@shawmedia.com Law enforcement salut the casket of Fox Lake police Lt. Charles Joseph Gliniewicz as it arrives at Antioch High School where Gliniewicz's funeral will be held Monday, September 7, 2015. 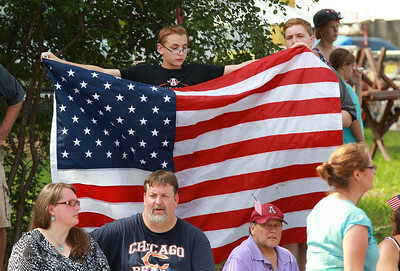 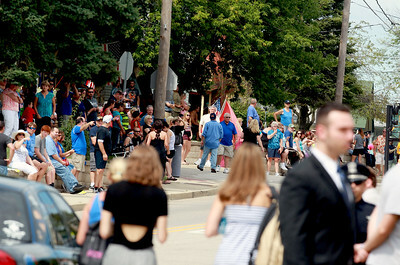 Sarah Nader - snader@shawmedia.com Thousands residents line the streets during the funeral for Lt. Charles Joseph Gliniewicz Monday, September 7, 2015. 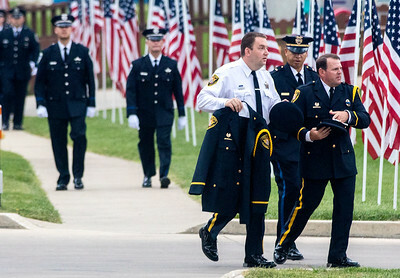 Sarah Nader - snader@shawmedia.com Law enforcement make their way into the school at the funeral for Lt. Charles Joseph Gliniewicz passes Antioch Community High School Monday, September 7, 2015. 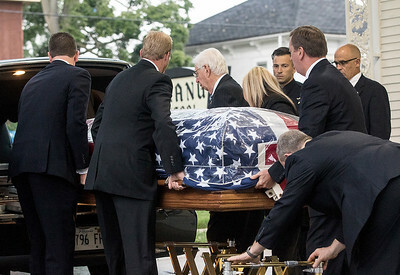 Sarah Nader - snader@shawmedia.com The casket of Lt. Charles Joseph Gliniewicz is wheeled into a hearse at Antioch Community High School Monday, September 7, 2015. 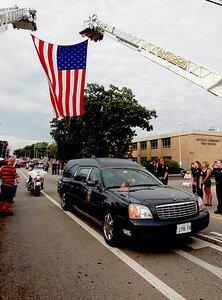 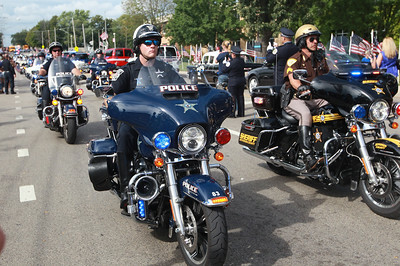 Sarah Nader - snader@shawmedia.com The funeral procession for Lt. Charles Joseph Gliniewicz passes Antioch Community High School Monday, September 7, 2015. 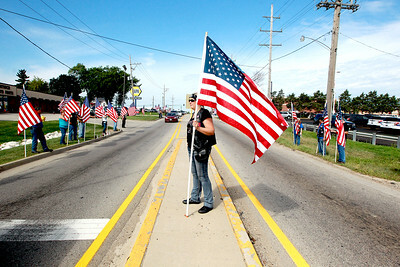 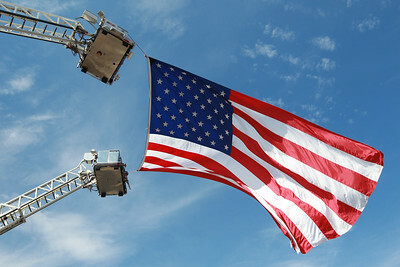 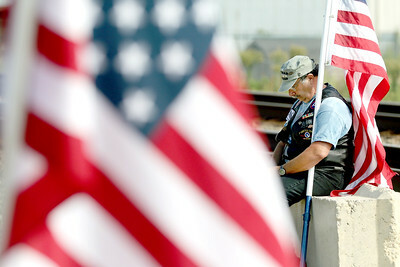 Sarah Nader - snader@shawmedia.com A flag is flown over the funeral procession route for Lt. Charles Joseph Gliniewicz near Antioch Community High School Monday, September 7, 2015. 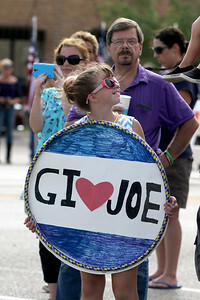 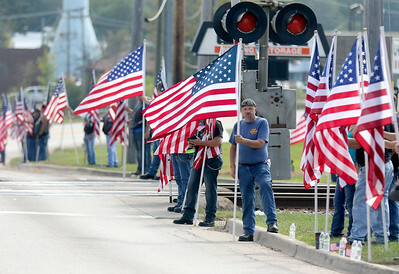 Sarah Nader - snader@shawmedia.com People show their support during Lt. Charles Joseph Gliniewicz's funeral at Antioch Community High School Monday, September 7, 2015. 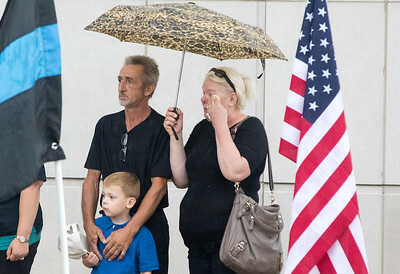 Sarah Nader - snader@shawmedia.com Lisa Pinnello of Bollingbrook show her support during Lt. Charles Joseph Gliniewicz's funeral at Antioch Community High School Monday, September 7, 2015. 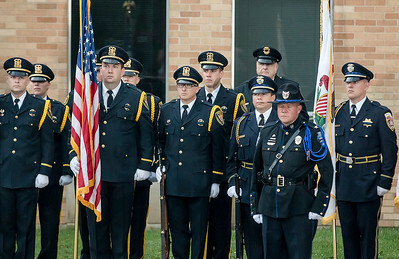 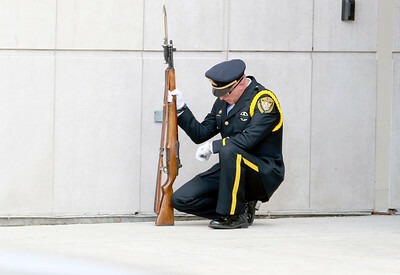 Sarah Nader - snader@shawmedia.com A member of the McHenry County Honor Guard reacts outside the funeral for Fox Lake police Lt. Charles Joseph Gliniewicz in Antioch Monday, September 7, 2015. 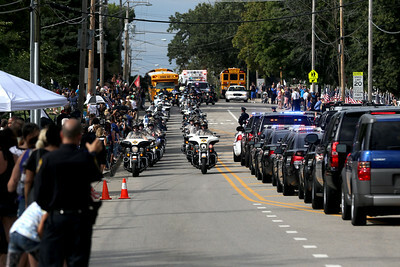 Sarah Nader - snader@shawmedia.com Thousands of police officers and residents wait outside Antioch Community High School during the funeral for Lt. Charles Joseph Gliniewicz Monday, September 7, 2015. 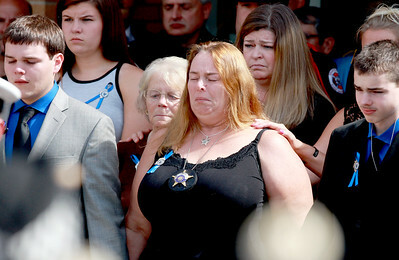 Sarah Nader - snader@shawmedia.com Surrounded by her family, Mel Gliniewicz (center) widow of Lt. Charles Joseph Gliniewicz, reacts as the casket of her late husband is loaded into a hearse at Antioch Community High School Monday, September 7, 2015. 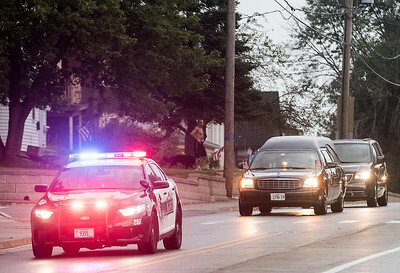 The casket of Fox Lake police Lt. Charles Joseph Gliniewicz leaves the Strang Funeral Home in Antioch Monday, September 7, 2015 before making its way to Antioch High School where Gliniewicz's funeral will be held.